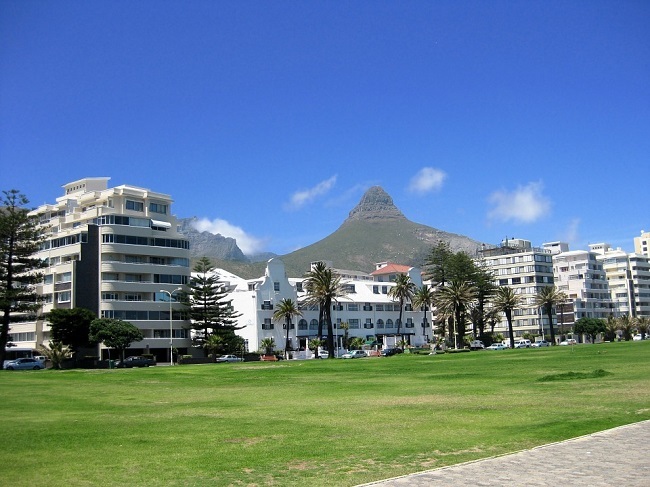 Sea Point Cape Town lies on the Atlantic Seaboard, along the coast. Home to a long stretch of promenade, a bustling Main Road, vibrant beachfront dotted with cafes, restaurants, bars and apartments, and plenty of world-class views, this area has become a popular choice for holidaymakers. This is where you will find some of the city’s most sought-after holiday rentals, along with some of the best sea and mountain views in town. What can you see and do in this part of the city? In short, LOTS! From wining and dining to beachfront strolls, shopping, swimming and relaxation, this area has plenty to do. 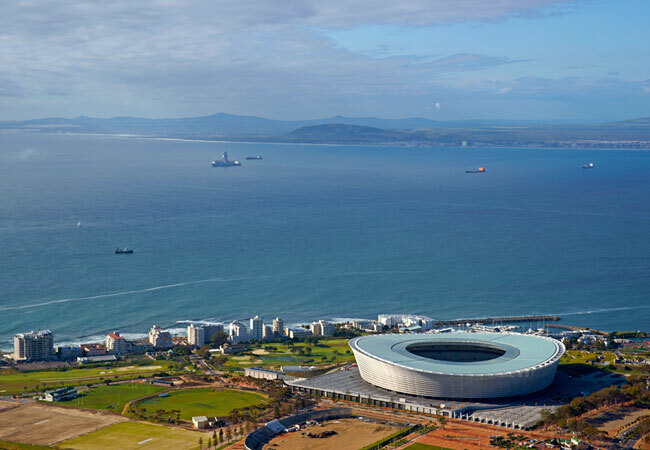 Join us today as we take a mini virtual tour of Sea Point Cape Town to see what this area has to offer. We love the Sea Point Promenade. When you visit this long stretch of boardwalk that runs all the way along the suburb’s stretch of coastline, you will, too. The promenade attracts a number of locals and visitors. Flanked by green lawns on one side, and the gorgeous Atlantic Ocean on the other, in between you will find a paved walkway, outdoor fitness equipment, beach huts, a small beach, interesting art pieces, lots of seagulls and lots of postcard-perfect views. You can access the promenade from Beach Road. There are parking lots at various points, and also off-street parking along Beach Road. If you’re in the mood for a cocktail or a bite to eat, Harvey’s is a great choice. This restaurant and bar is located within the Winchester Mansions hotel on Beach Road. From its vantage point across from the promenade, you can enjoy spectacular sunsets and views of the ocean. 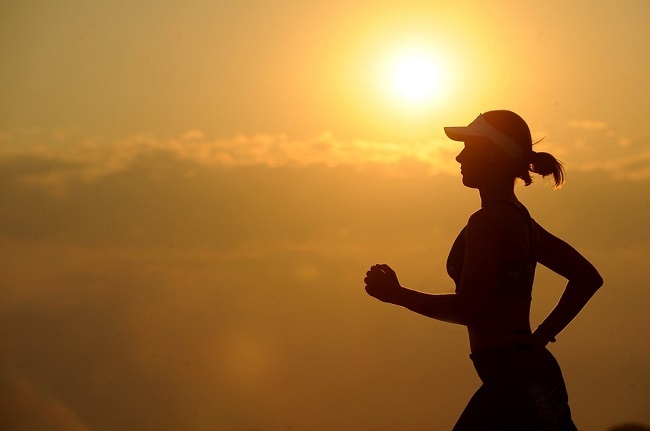 It has a great vibe – especially on hot summer afternoons. Sit out on the front patio to enjoy sea views and fresh air. After the sun sets, venture inside to the glamorous interior to try decadent cocktails and light meals. 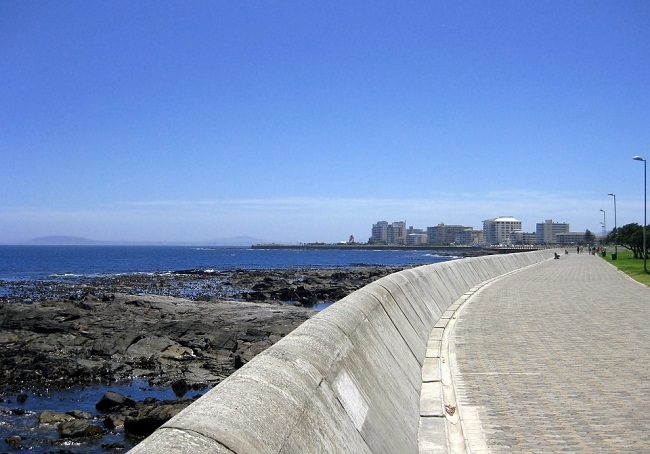 At the end of the promenade, you will find the Sea Point Swimming Pool. This public pool is large and well-managed, with amazing views of the Atlantic to be enjoyed from its large sized pools. Entry is very cheap for adults and children and the pool is open from 07h00 until 19h00 daily. There are four pools – the main pool, a diving pool, a fun pool and a kids pool. The main pool is around 50m long and 1.5m deep, while the diving pool reaches a depth of 5m. The pool is accessed from the promenade on the pavilion, off Beach Road. La Mouette is a time and tested favourite for foodies. Situated at 78 Regent Road, the restaurant specialises in traditional French cuisine, with a modern edge. La Mouette means seagull in French, which is apt considering the number of gulls typically seen in Sea Point. There are three dining areas, which include the Winter Lounge, a private dining room called the Mayor’s Room and an outdoor courtyard. Their menus constantly change, using seasonal ingredients and unbelievably tasty flavours to create one of a kind dishes. You can make a booking by contacting them restaurant on +27 (0)21 433 0856. On 277 Main Road, you will find an excellent shopping centre. Once a cinema, the building was turned into a shopping centre in the 1970s. Since a recent upgrade, the centre houses 50 shops, including a large Pick ‘n Pay supermarket, a good selection of boutiques, banks, coffee shops and specialty stores. It’s the ideal spot to get your errands done before having a cup of coffee, or to indulge in some retail therapy for an hour or few. La Perla has been around since the late 1950s. Situated on Beach Road, on the Sea Point beachfront, the restaurant is perfect for a leisurely coffee or cocktail. Over the years, the restaurant has had more than its fair share of celebrity guests, who range from former president Mbeki to Sting. The food is mostly Italian, with an excellent seafood menu. The bar and pool deck is especially amazing – just right for sundowners. Look out for its unique 1970s fish tank! Wondering where to stay in Sea Point? We have some amazing properties in this area, including spacious villas and trendy apartments directly opposite the promenade. Top picks include Ocean View Terrace, a modern 3 bedroom villa set over 3 levels; Pavilon, a contemporary 2 bedroom apartment overlooking the promenade; Atlantique, a stylish 2 bedroom apartment with fantastic ocean views; The Verge Aparthotel, a modern aparthotel offering a choice of 1 and 2 bedroom units; and Vue Devant, a gorgeous 2 bedroom apartment overlooking the Atlantic Ocean. Contact us for further assistance in finding accommodation options in Sea Point, and we will do whatever we can to assist!